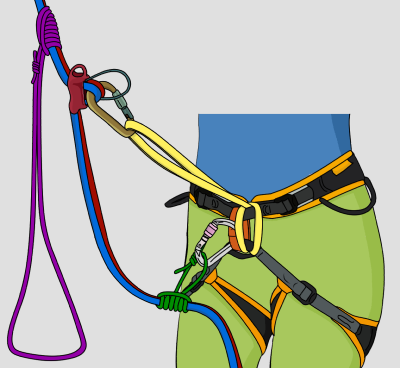 Extending your belay device before abseiling can be useful in certain situations. - You can use a prusik with less chance of it getting sucked into your belay device. - Your prusik will be centred, making it easier to use than if you attach it to a leg loop. 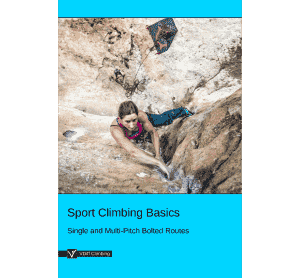 - You can transition from abseiling to ascending easily – useful if you abseil too far on a multi-pitch descent. - Takes longer to set up. 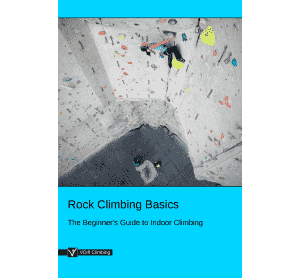 If you don't know where the next abseil anchor is on a tricky multi-pitch descent. Simply girth-hitch a 60cm sling through the hard points of your harness (the same points that your belay loop goes through) and clip your belay device to this sling instead of your belay loop. It's much better to use more durable, thicker nylon slings than thin Spectra/Dyneema for extending your belay device. 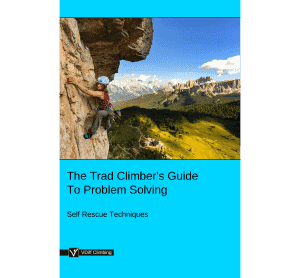 Feed the sling through the hard points of your harness, tie an overhand knot in it and then clip both ends of the sling to your belay device. 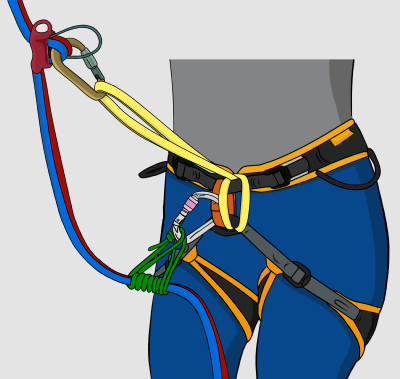 It is possible to ascend the rope with the following setup. 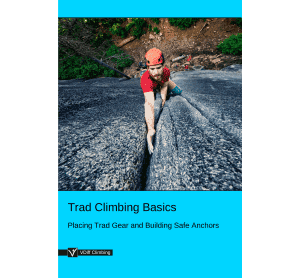 This is a useful trick if you have abseiled too far down a steep face and need to go up a short distance in order to reach the next abseil anchor. 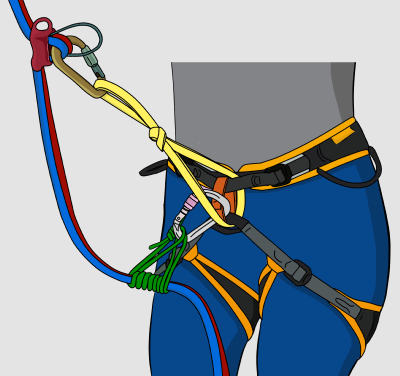 First, make sure you are using your autoblocking belay device in the Guide Mode orientation. You'll need to do this before leaving the anchor. Fasten a Prusik or Klemheist knot around both ropes above your belay device with a long piece of 5mm or 6mm cord. This will be your foot loop. Step into the foot-loop and stand up, taking the weight off your belay device. Make sure to keep hold of both ropes as you do this. Once you've got your belay device attached in the autoblocking mode, sit your weight onto it and slide the top prusik up the rope. Stand in the foot loop again. This takes the weight off your belay device, allowing you to pull the slack rope through it again. Repeat these steps to slowly work your way back up the rope towards that anchor. Remember to practise these steps in a safe environment before doing it in a real situation.